Today is Carer’s Rights Day. It brings to mind the wise words of Eleanor Roosevelt, one of the drafters of the 1948 Universal Declaration of Human Rights: “where after all do universal rights begin…in small places close to home.” Human rights can help shine a light on the hidden world of unpaid carers, those family members, friends and neighbours who work tirelessly to care for some of the most vulnerable members of our community. 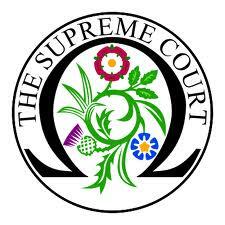 Human rights are universal, they belong to everyone, this means people in need of care and those providing the care, Set down in laws like our Human Rights Act 1998 (HRA), they remind us that there are legal obligations to treat people with dignity, respect and fairness. The HRA is there as a vital safety net to protect people from neglect and abuse, and to empower them to make choices about their lives. The right to respect for private and family life under the HRA (“Article 8), for example, can be important for carers and those receiving care. This right protects physical and mental well-being and being able to develop relationships and participate in community life. It can help people challenge and negotiate the adequacy of care arrangements, involve people in decisions about care options, and help people to live fulfilling and active lives. 45% of respondents felt that human rights are very important or important to their caring role. Less than 30% felt confident that they knew what their rights were. Only 15% felt confident in advocating for the rights of those they care for. This revealed that many carers are missing out on vital support because they lack knowledge and confidence to know and secure their human rights. Essentially, lacking an important tool to help ensure their life, dignity and self-respect are protected. Knowing about human rights is an important first step in protecting them. Carers often come into contact with a range of professionals and bodies, from social services to health providers, all of whom have legal obligations under the HRA. It can be empowering for carers know they and the people they care for have rights and that public bodies have duties. This means dealing with public bodies is about ensuring the basics are in place rather than asking for a “hand-out” or a “favour”. As well as building confidence, this shift from charity to rights can also help find solutions to the challenges carers face. It can help ensure their rights and those of the people they care for are respected and protected. Anna had multiple sclerosis and a 13-year-old son, David. David had Down’s syndrome and disruptive behaviour disorders. He had a long history of self-harming and violent attacks on his family. The family received some very limited respite care, but had not had any support in putting in place a behaviour management programme for David despite repeated requests. 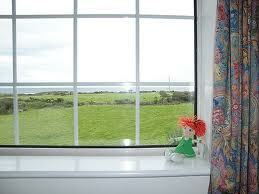 As a result, David had not been out of the family home for the whole of the summer break. Anna was extremely concerned that David was going to harm himself or a member of the family. The Down’s Syndrome Association wrote to the local authority asking whether the family’s right to respect for private and family life had been properly considered. They argued that the lack of support to manage David’s behaviour risked infringing both Anna’s and David’s right to participate in social and community life, as neither could access essential economic, social, cultural and recreational activities. Within two weeks David’s respite care was increased, he was referred to the local behaviour team for assessment and support and his parents were offered the opportunity to receive training on safe methods of restraint and behaviour management. 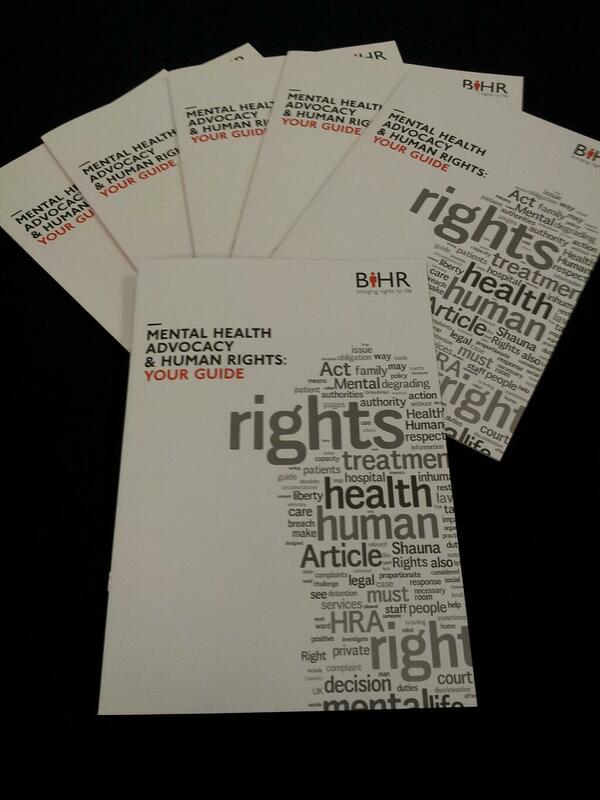 Last month BIHR launched “Your Human Rights: A Pocket Guide for Carers”, developed in partnership with n:compass following our consultation with local carers. The Pocket Guide explains how human rights, particularly those in the Human Rights Act, are relevant to carers and those receiving their car e. Carers Rights Day is an opportunity to get this information out to carers to make sure that they feel confident about their rights and the rights of their loved ones. So don’t delay! You can share the Pocket Guide – tweet it, link to it on your website, include it in your newsletters, email it to your networks, download and distribute it. Let us know what you think, your feedback makes our Guides more useful and helps us to show funders why it is important to keep supporting these publications. BIHR has some limited hardcopies contact us on programmes@bihr.org.uk for more information. Do also check out the Carer’s Rights Day webpages from Carer’s UK which has lots of useful information that can be promoted in similar ways. Unfortunately political and media debates about the Human Rights Act are often quite negative, rarely telling the stories about how the HRA can make a difference to people in their everyday lives. When things go wrong the HRA can be a vital safety net, protecting us all in our most vulnerable moments. The HRA can also empower all people, including carers, to live fulfilling and dignified lives. Human Rights can be a bit like good health. We don’t know how much we appreciate it until it’s gone. So now is the time to make sure we are using the law, raising awareness about it, and building more evidence for why human rights are important.